With so much focus on collecting all the 911 variants, I keep forgetting I even have this model. That’s not fair at all because this GT4 is actually good. Like, really good. 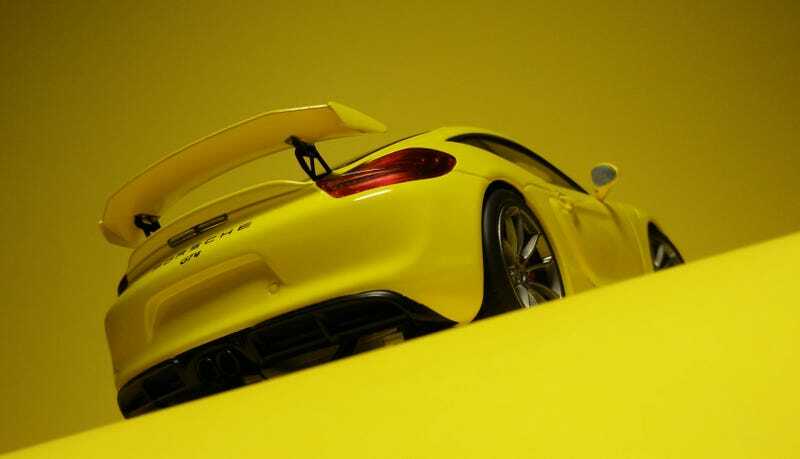 Porsche Cayman GT4 made by Schuco. Since this post is already late by a couple hours, I’m going to skip the words for today. Boss man SN210 kindly reminded me that there’s an eighth day of Rennsport Reunion, so I need to get one last Porsche photographed tonight.